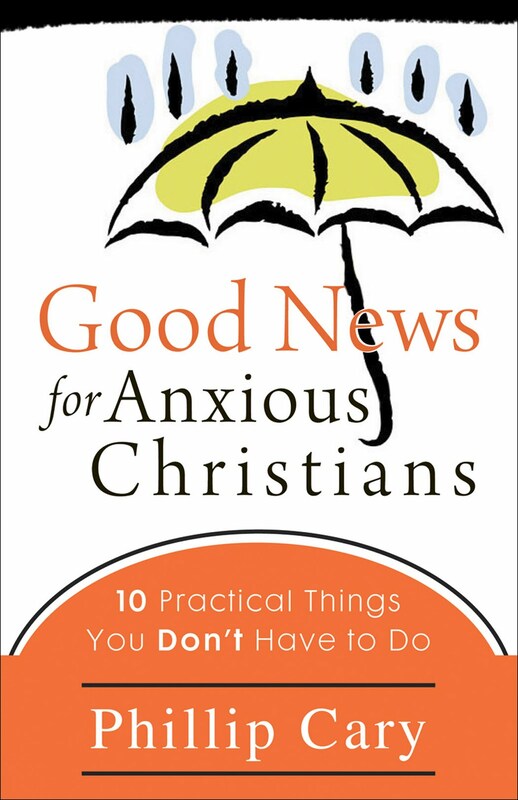 This is the title of the second chapter of Phillip Cary’s book Good News for Ancient Christians, which I’ve been discussing chapter by chapter. “Or, How the Spirit Shapes Our Hearts” Is the chapter’s subtitle. Cary relates what he says here to the previous chapter about hearing God’s voice in your heart, by pointing out that another way people tend to think of God speaking them is through intuition. This type of intuition he defines as that moment when you “just know something” even though you may not know how you know it (19). It is this being unable to explain the origin or source of a belief that leads many Christians to conclude that what they’re sensing is the voice of the Holy Spirit (19). However natural this tendency may be (I know I’ve done it several times), Cary points out the fallibility of constructing some sort of doctrine on this just by reminding us that sometimes our intuitions are wrong (20-21). And Cary pinpoints what it is about these intuitions that lead us to attribute them to God, to outside ourselves. And it has to do with vocabulary. I was on the way to Atlanta once and listened to this long program on the radio about how crucial vocabulary is not for just expressing our experiences but actually experiencing those experiences themselves. Cary says that it is the lack of vocabulary to describe a feeling or thought that makes it feel like, i.e., it is experienced as, it is coming from God (23). I think he’s on to something. Because when we don’t know how to explain something, or we don’t have the word for it, it’s not that we just experience it as not having the words to describe but that we experience as it as something coming from outside of us, in a sense. And the most natural place for Christians to attribute something coming from outside themselves but within their own minds, is God. When seen as a lack of vocabulary to explain the intuition, the “unexplainability” actually becomes explainable. There are several reasons, as Cary points out, we have the intuitions we have (23-24). The damage that is done? “… one of the deepest errors of the new evangelical theology. It teaches people to identify their intuitions as the Spirit speaking, without teaching them the virtues that are the real fruit of the Spirit working within. It tries to find the voice of God in the intuitions of the unsanctified heart” (32). In light of this, Cary offers the same sort of advice he offered in the last chapter about hearing God’s voice in your heart. Our focus should not be on the revelation from inside but from outside. “It may seem surprising,” he says, “that we should listen for the Spirit by listening to God’s word outside us. But that’s how the Bible talks about it. That’s because the Bible does not have the notion that’s so common in the modern world of looking inside yourself to find the spiritual help you need” (33). But the Spirit does work in us, doesn’t he?? Well, yes. But, inquiring minds want an answer to this question: “How do we know the Spirit is working in us?” Especially, if Cary is on to something, that we should not be searching for an inner voice as often as we tend to do as contemporary western evangelicals. Cary says this is a particularly modern obsession, which results more in searching our hearts than in searching the Scriptures (34). Not sure what else to say about this chapter. I think it’s a good illustration of the book’s major weakness, namely that it would’ve been well-served by some editing primarily in the form of cutting. This would’ve worked well as another part of the previous chapter. There’s a good deal of fluff in this chapter that I moved right over. However, it gets better. Cary still has some worthwhile lessons to teach. Picks up big time with his excellent chapter “Why You Don’t Have to ‘Let God Take Control” which we’ll discuss next time. ← ? American=Christian ? Christian=American ?